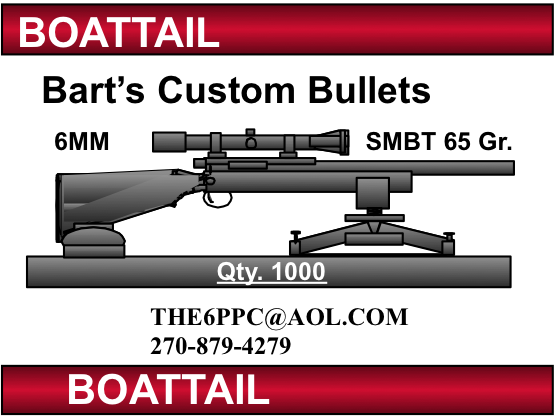 The 65 grain Ultimate Boattail is a double ogive bullet with a .060 metplat. This bullet is the little brother of 68 grain Boattail made on the same point die but on a shorter .790 jacket. Just like its big brother it has an impressive list of wins and is exceptionally easy to tune.